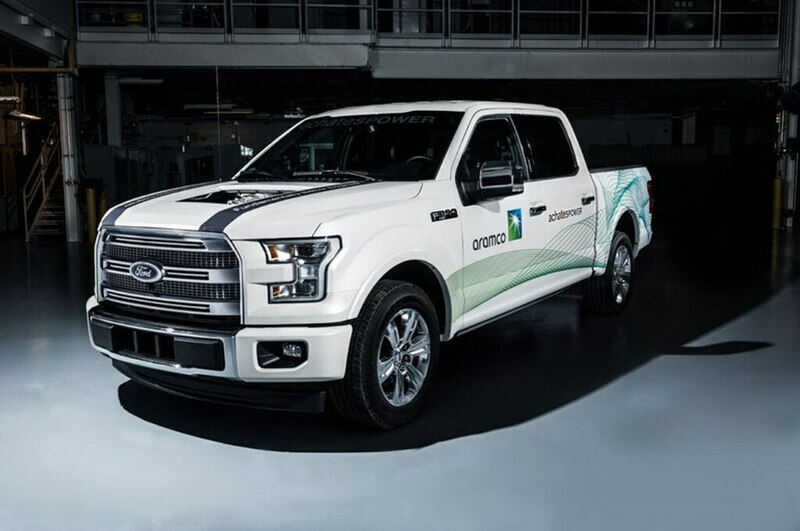 How’d you like your next Ford F-150 to get 37 mpg (6.4 L/100km) combined? 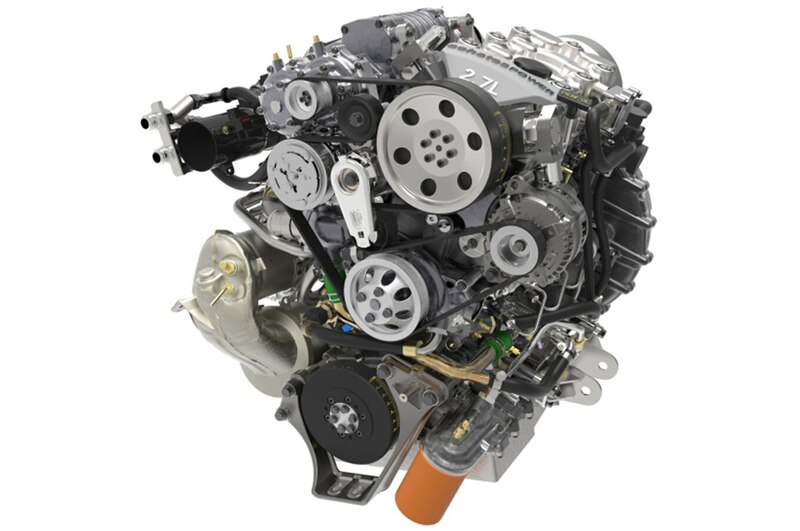 Read on to learn more about the unconventional engine making just that very promise. 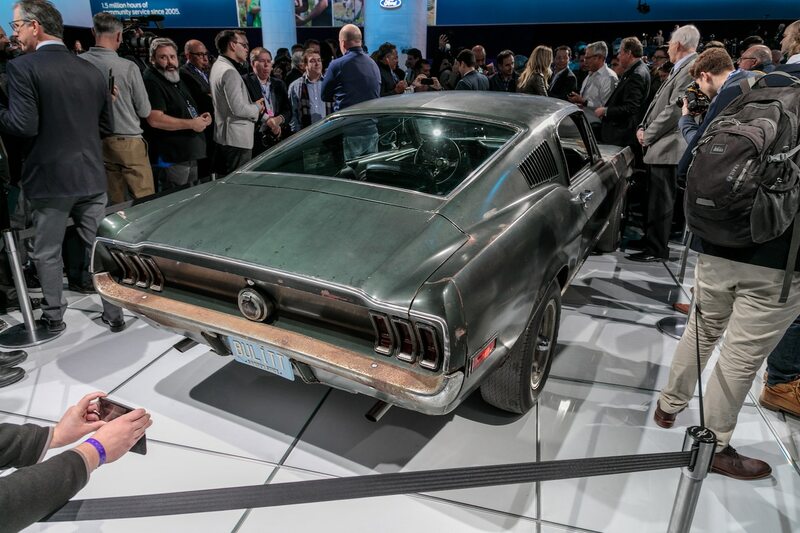 It was shown in Detroit as part of the North American International Auto Show and its coincident Automobili-D tech forum. (See what they did there?) Seems nobody dares stage an international auto show without a concurrent mobility conference, yet despite falling so closely on the heels of AutoMobility LA and the CES techstravaganza, Detroit delivered plenty of its own new future-tech, which we present here along with a few related tidbits presented elsewhere during the public days of the Detroit show. The 6.4 L/100km Opposed-Piston Two-Stroke Lives! We’ve been covering Achates Power’s highly unusual inline-three-cylinder two-stroke engine with six pistons and two crankshafts for some time now, and it’s finally installed in a Ford F-150 truck for demonstration and fine tuning. The stats are pretty impressive if they prove reliable in production trim: 270 hp, 480 lb-ft, and 37 mpg (6.4 L/100km) combined fuel economy. The test engine is running 18.5:1 compression with direct gasoline injection. The long stroke of this 2.7-liter engine allows the pistons to extract maximum work, and because there are no cylinder heads (intake and exhaust flows through ports in the cylinder walls that get exposed at the extremes of the piston travel), there’s far less heat rejection to the cooling system. Achates says this helps deliver thermal efficiency of near 50 percent—and that’s before any in-vehicle thermal-management optimization work. The current design features a single large-diameter gear connecting the upper and lower crankshafts. Interestingly, the two cranks don’t do equal work. The one on the side exposing the exhaust ports transmits about 60 percent of the torque while the one with the pistons that expose the intake ports bears 40 percent. The engine is twin-charged, with a supercharger (needed to move sufficient air at startup and low speeds) and a turbo. They operate at low levels of boost, so less air flows through this engine than is typical for a four-stroke diesel. This helps keep the exhaust temperatures in a narrower range—the lowest operating exhaust temperatures are higher, and the highs are lower than in “normal” engines. This makes life easier for the exhaust after-treatment system, which will likely include a lean-NOx trap. The engine produces sufficient heat to warm the cabin, but the required radiator capacity should be less than in a traditional truck. The Delphi direct-injection system features two injectors per cylinder operating at about 22,000 psi on gasoline (36,000 if running diesel, which reportedly increases the combined economy to 42 mpg (5.6 L/100km)). They spray directly at each other, with combustion initiating in the center of the cylinder, so the cylinder walls never get sprayed by fuel. Achates claims there has also been no issue with oil finding its way out of the intake or exhaust ports because the oil control rings remain below the ports. At least one (as yet undisclosed) manufacturer has plans to build the engine, and several more have expressed interest. Stay tuned, as this promises to be the most radically reimagined engine to power a passenger vehicle since the Wankel rotary. 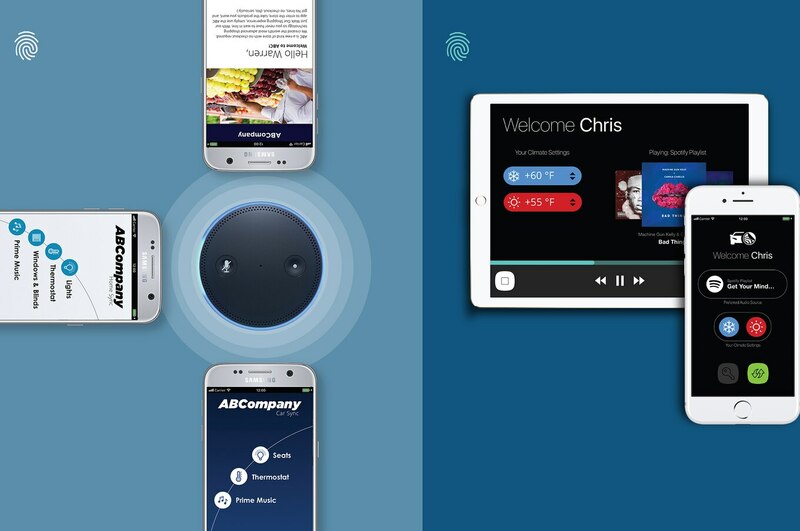 Everybody wants to control everything with their phone, and usually that requires a connection to the cloud via Wi-Fi or cellular or a connection to the thing being controlled via Bluetooth or near-field communications (NFC). But that’s not always possible or convenient when you’re out in the wilderness, deep in a parking garage, or inside a concrete arena. Enter ultrasonic audio data transmission from Cincinnati-based LISNR. That’s right, your phone’s speakers generate “Smart Tones” at a frequency between 18.7 and 19.2 kHz—just above human hearing range—which your car or other device “hears” and responds to. Range depends upon devices and conditions and can be tailored to function only at close range, up to 3 feet, or out as far as 60 feet. Data can be transmitted at up to 1,000 bits/second—just enough to handle tasks such as authentication (including one-touch Bluetooth connectivity, with Smart Tones handling all the hand-shaking), offline messaging between devices, secure payments, and control of nearby internet-of-things devices. JLR plans to offer this technology in 2019. Windshield replacement is becoming a more complicated task, as more cameras, lidar units, head-up displays, rain sensors, and the like are attached to or integrated into them. 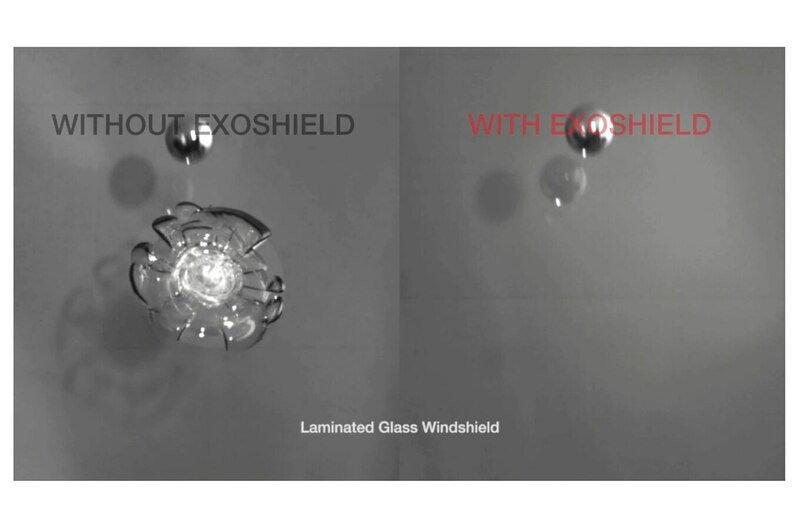 To prevent chips and cracks in the first place, Kitchener, Ontario-based Alchemy introduces Exoshield—an 11-layer windshield protection film that blocks 99.9 percent of ultraviolet radiation and improves stone-chip resistance by a factor of six. The top layer features a special scratchproof nano-coating that preserves safe visibility over the long haul. Exoshield is available on the aftermarket. Protection for most windshields costs about $350 USD installed. Look for this tech to potentially make Lexan and other ultralight but scratch-prone glazing materials legal for wider-spread use in the future. German supplier Schaeffler began producing rear electrified axles for a hybrid car by China’s Great Wall car company at the end of 2017. This simplified concept only connects the gas and electric powertrains through the road. 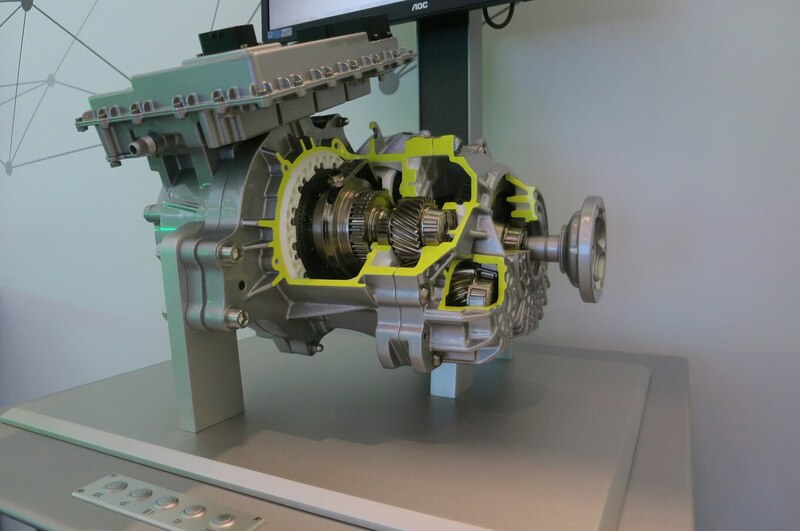 The system features an integrated two-speed transmission, which provides enough added leverage to permit downsizing the engine, saving enough cost to cover the transmission gearing. That application is rated for 107 hp and operates at 300 volts. Eight such designs are in the works with different power levels and applications, but only this one has the two-speed. 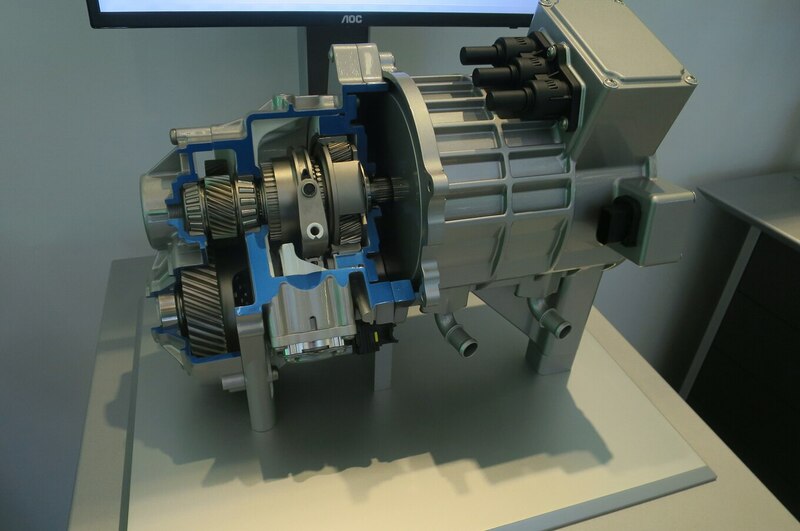 By integrating the power inverter onto a low-cost 48-volt e-axle and thereby eliminating the cables, Schaeffler has demonstrated the ability to increase the motor’s power rating to 27 hp (16 hp used to be the perceived limit of 48-volt e-motors). 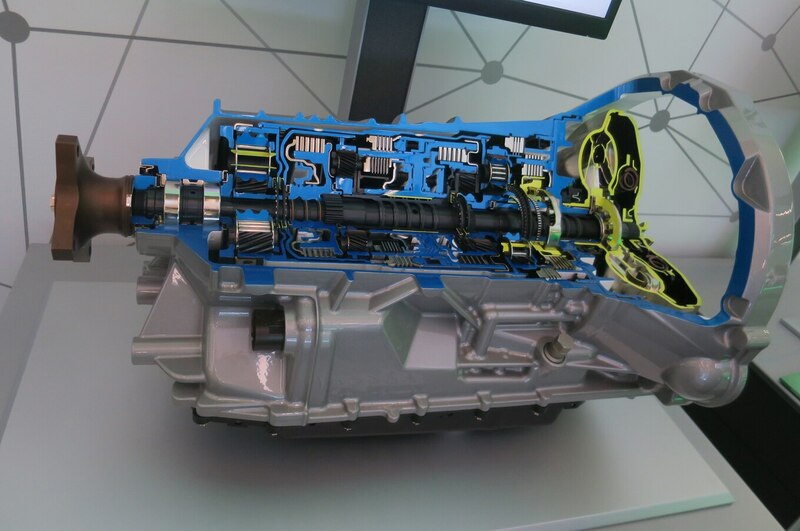 The new GM/Ford joint-venture 10-speed automatic features a converter design that does without an entire stamping, shortening the axial length of the converter and trimming its mass by 30 percent. 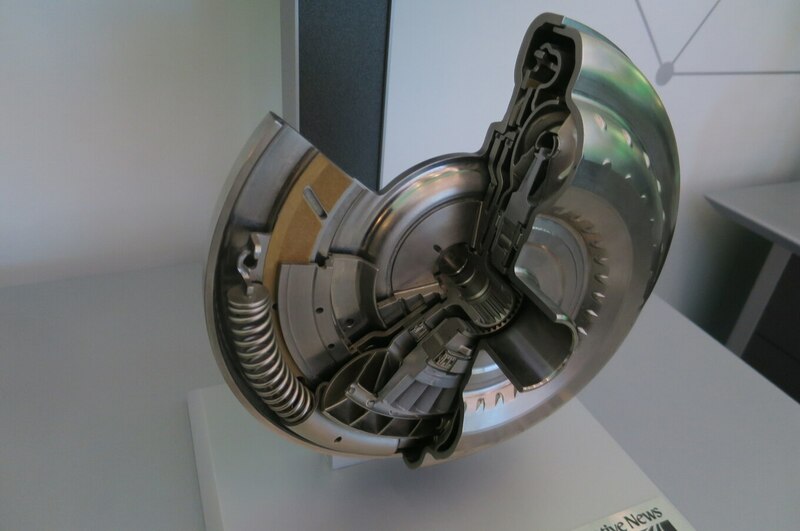 Schaeffler’s trick was moving the friction material for the lockup clutch to one of the fluid circuit shells where fluid dynamics actually make it slightly self-energizing. 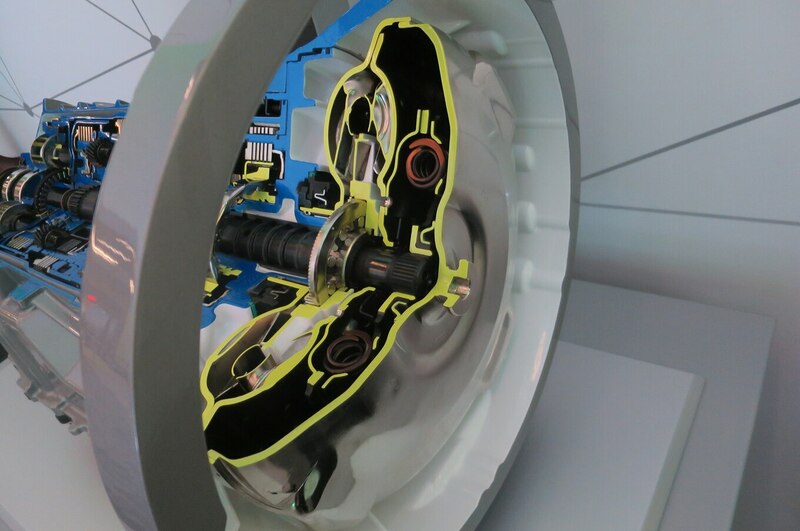 Another new Schaeffler torque converter employed in Mazda Skyactiv transaxles uses technology more commonly employed in rotating transmission clutches, which feature a chamber that compensates for the centrifugal forces acting on the transmission fluid. 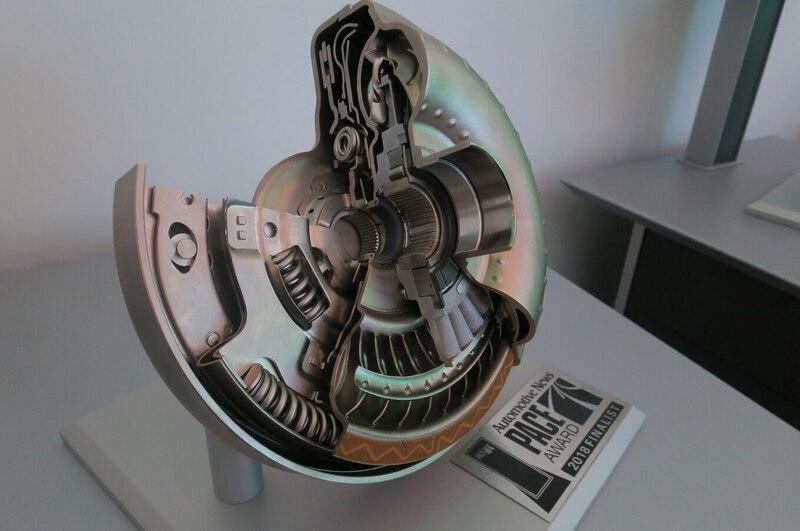 Adding such a chamber to this converter allows for smoother lockup at very low speeds and allows the system to permit a bit of slippage to compensate for engine vibration, all of which promotes earlier, more frequent converter lockup for greater fuel savings. The folks that started lubricating steam engines in 1866 and subsequently introduced the first all-climate oil (1954), racing oil (1965), synthetic blend oil (1996), and oil for high-mileage engines (2000) are now introducing Modern Engine Full Synthetic Motor Oil. The last oil quality upgrade approved by the American Petroleum Institute was SN in 2010, when 6.7 percent of cars and 11.0 percent of light trucks featured gasoline direct injection. Today some 56 percent of all new passenger vehicles have GDI, and there are some 35 million GDI-powered vehicles on the road—many of which are also turbocharged, downsized, and down-speeded by coupling them with eight-, nine-, or 10-speed transmissions or wide-ratio CVTs. All of this increases the temperature and stress placed on the engine and its lubricating oils. Valvoline’s engine-lab research suggests that the SN-grade oil spec doesn’t adequately protect these highly stressed engines. Direct injection results in greater soot formation, and when soot blown by the rings contaminates the oil, it can cause premature wear on timing chains. In extreme cases the chain(s) can stretch enough to affect valve timing because tensioners can only compensate for about 0.7 percent stretch. 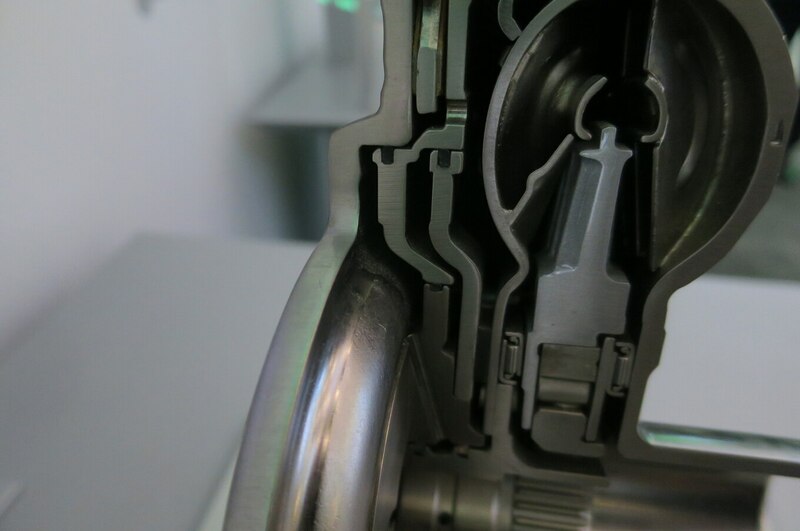 Carbon deposits are another big problem, both inside the combustion chamber and especially on the intake valves, which no longer get washed by port-injected fuel. Severe deposits on the piston can lead to a particularly violent low-speed pre-ignition knocking that can destroy a piston (and hence the engine). Valve deposits come from oil sneaking past valve guides and airborne oil particles in the intake manifold from positive crankcase ventilation and exhaust-gas recirculation. 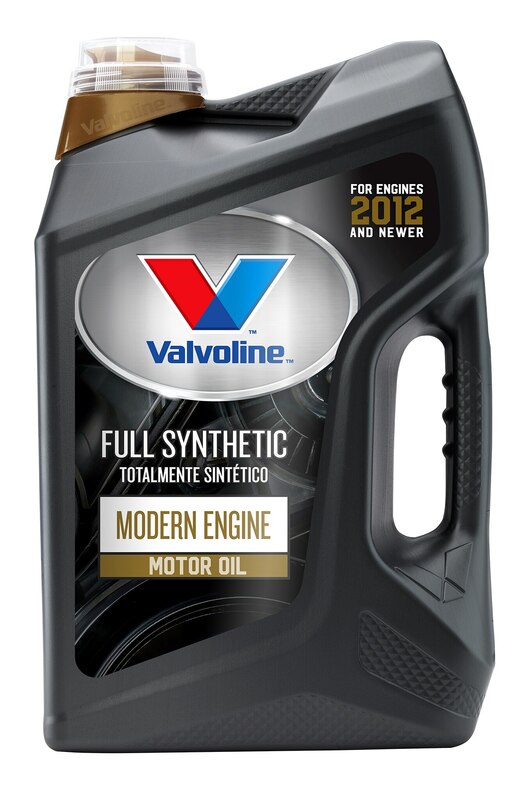 The Modern Engine blend contains a proprietary additive package (the only big change Valvoline representatives admitted to was replacing calcium detergent with a calcium-magnesium detergent) engineered to prevent deposit formation 30 percent more effectively than the industry standard. And if you change your own oil, the 5-quart bottle it comes in will also please you with its pull-ring seal, no-drip pouring spout, anti-glug tube, and handle, which is relocated for better leverage. My September 2016 Technologue described an intake-valve-deposit cleansing system that has finally hit the market in two forms. Valvoline EasyGDI First Defense can be administered by ASC/Quick Lube technicians. It essentially involves removing the manifold air pressure sensor, mounting a nozzle where it was, and using this nozzle to fog the manifold with one or two 22-ounce cans of intake cleaner product (aerosolized by shop air) while the engine is running. Engine revs are elevated to 2,500 rpm once a minute during this time. 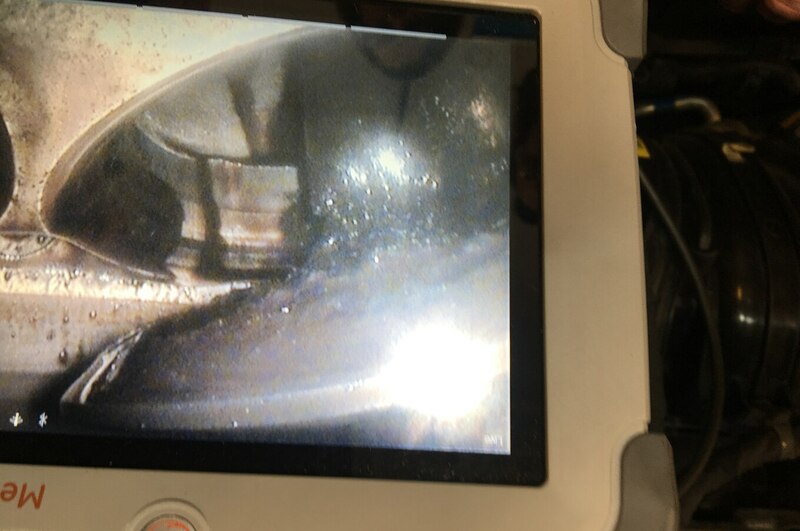 We witnessed a one-can treatment administered to a Hyundai Sonata with 35,000 miles (56,327 km). 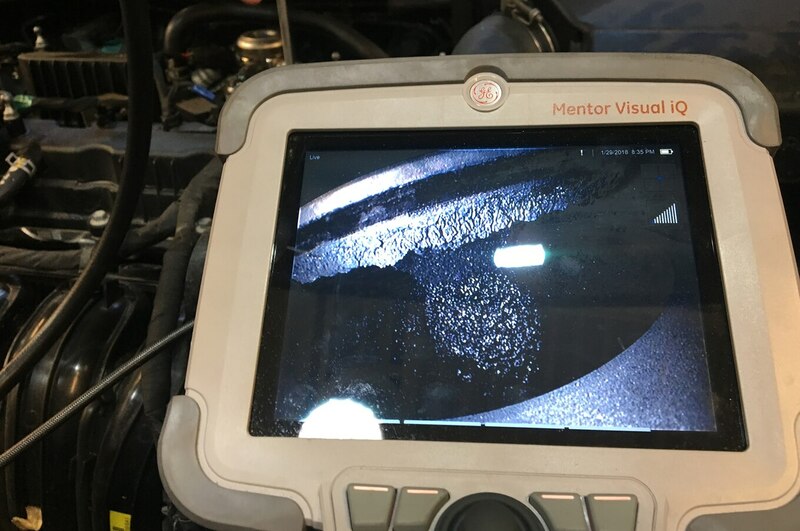 Looking at the open intake valves with a borescope showed them to be badly gunked up with carbon deposits. One can of cleaner had them looking mostly clean. A 10-ounce bottle of fuel conditioner goes with this $120 USD service. 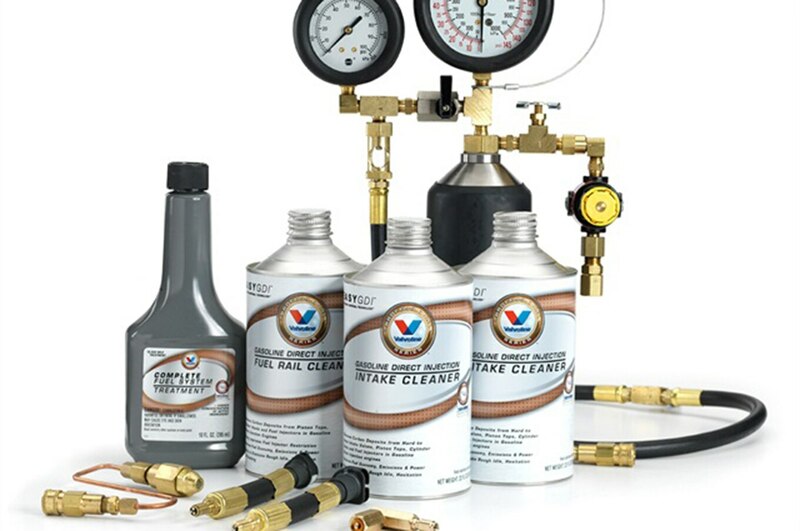 To clean more severe deposits on the valves and in the combustion chamber, Valvoline’s EasyGDI Clean Up Kit is designed for dealers and master technicians to administer. It adds a fuel-rail conditioning product. That one retails for $300–$400 USD—way cheaper than opening the engine up and cleaning everything the old-fashioned way. It’s too bad the borescope costs $100K USD—too much for most shops to swing. Seeing that gunk with my own eyes would easily separate me from cost of the cleanup job. 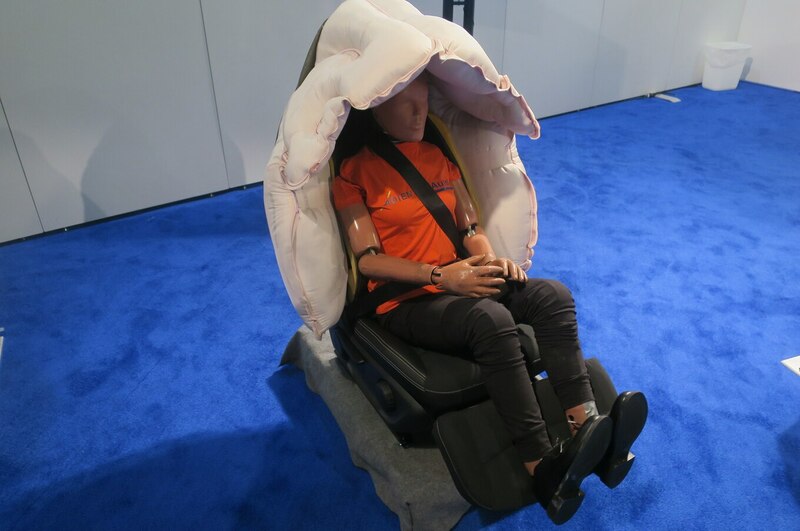 Automotive seating supplier Adient and the airbag folks at Autoliv teamed up to demonstrate a concept safety seat for an autonomous future when car seats might be swiveled to different positions. 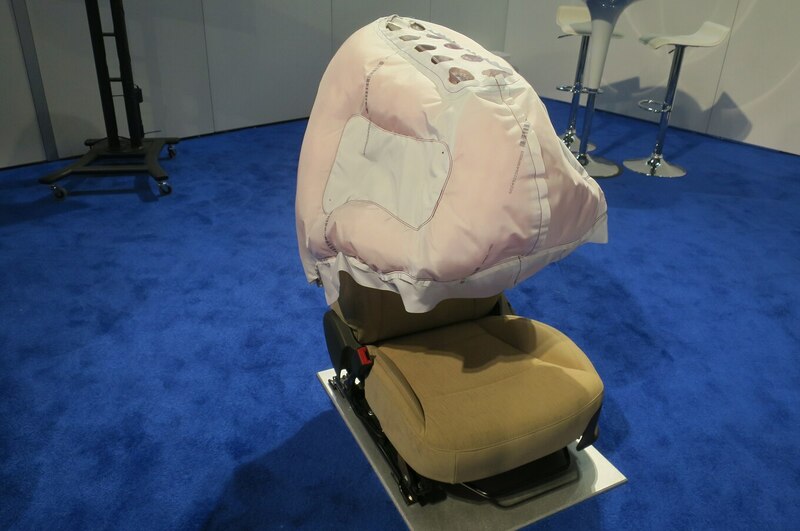 Naturally, the seats mount safety belts to the seat structure, and the concepts show two ways of mounting airbags that provide side cushioning protection from impacts or adjacent passengers coming from all directions. One even proposes providing frontal protection, though deploying this over a tall occupant’s head seems problematic. This idea is very much in the concept phase.